Village Salad - Our traditional Greek Village Salad, made with fresh cut vegetables, kalamata olives, and creamy feta cheese, drizzled with our house made Lemon Vinaigrette and served with warm seasoned Chicken Souvlaki. 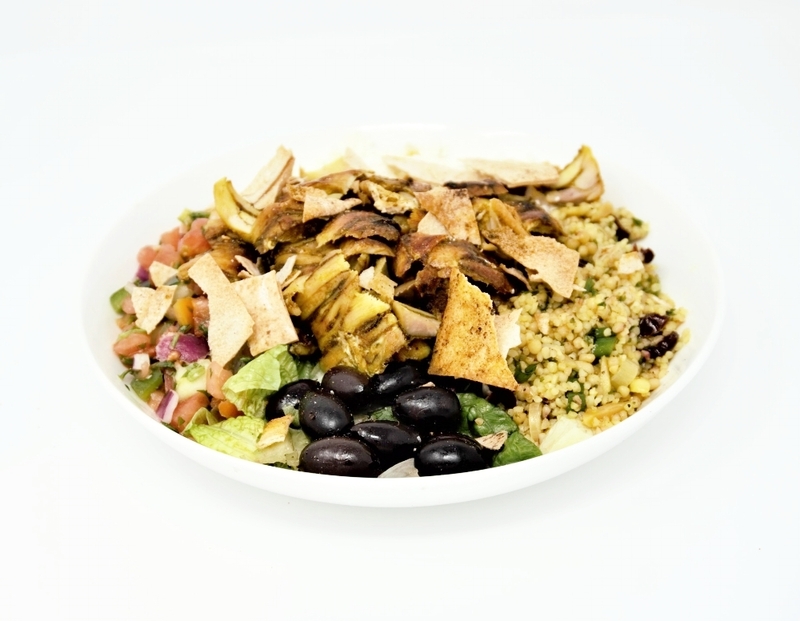 Mediterranean Salad - Flavor abounds with our combination of fresh tomato cucumber salad, tabouleh cous-cous, kalamata olives, tossed together with a lemon vinaigrette dressing and topped with hand crumbled feta cheese and pita chips. 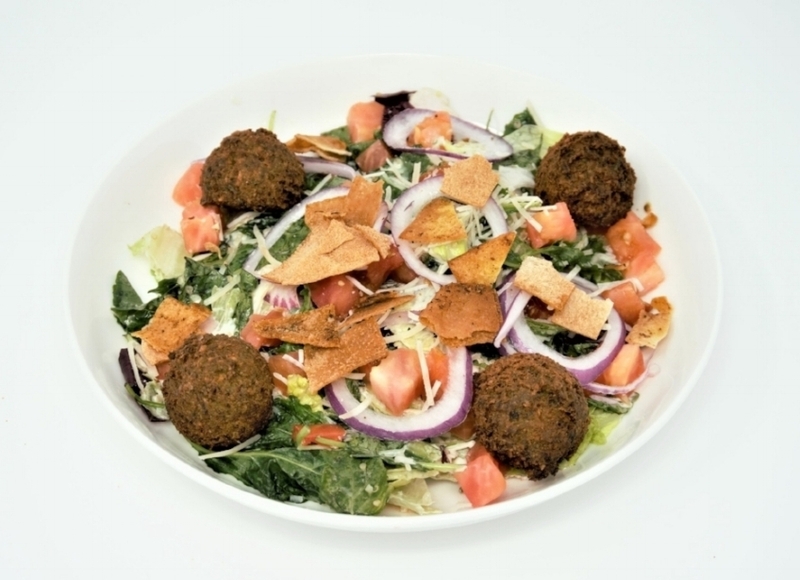 Non-Traditional Cobb Salad - Start with our mixed greens and add in the kitchen sink and you have our Cobb salad with chicken souvlaki. 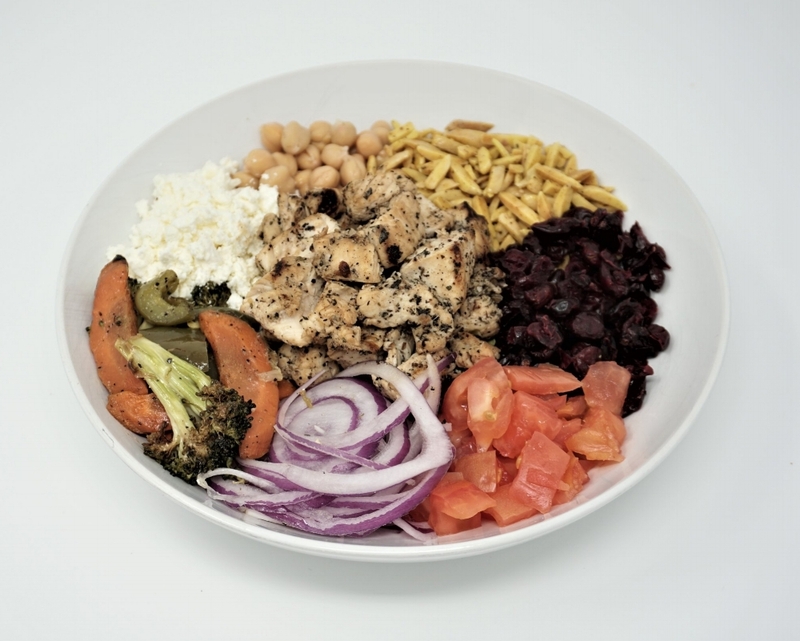 Includes, chick peas, toasted almonds, dried cranberries, tomatoes, red onion, roasted veggies and feta cheese.